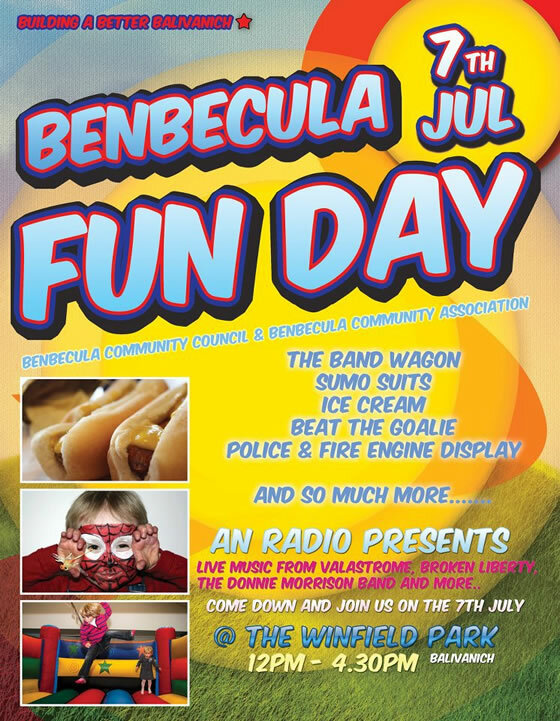 The Benbecula Fun-Day is taking place on Saturday the 7th of July in and around the parks in Winfeild Way, Balivanich on the same day but starting at 12pm and running until 4.30. There will be a bouncy castle, face-painting, hot-dogs, ice-cream, sumo suits and of course live local music from the 'An Radio' band wagon! Come along and enjoy a day out in Benbecula.